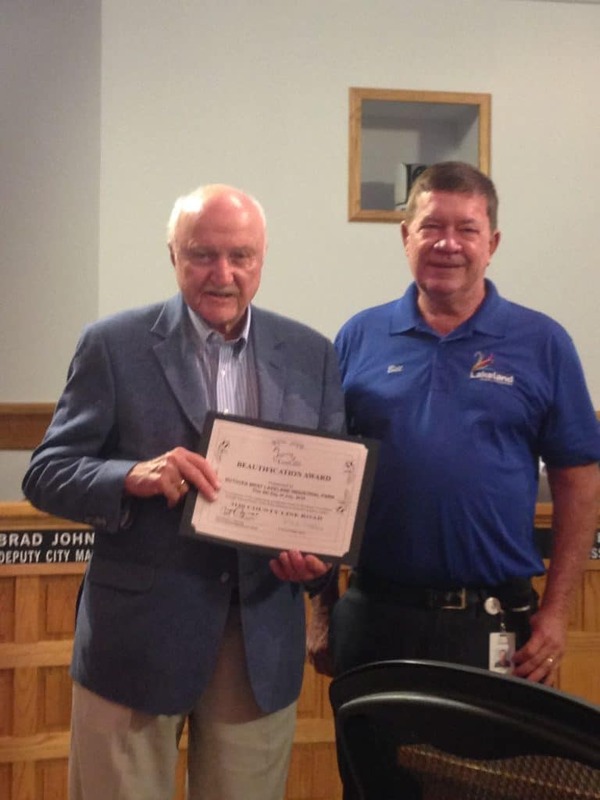 The Ruthvens receive Beautification Award from City of Lakeland! 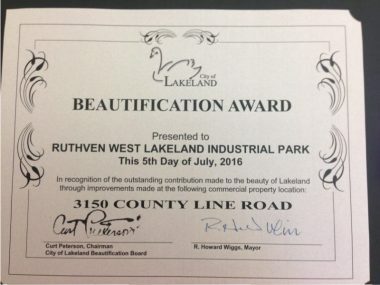 The Ruthvens received the Commercial Beautification Award on July 5, 2016, at the City Commission meeting for our warehouse at 3150 County Line Road. 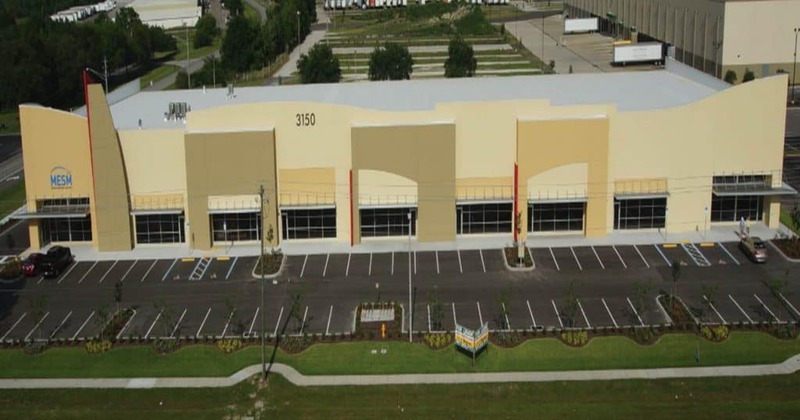 We are proud that our warehouse was selected to be highlighted by the City of Lakeland!